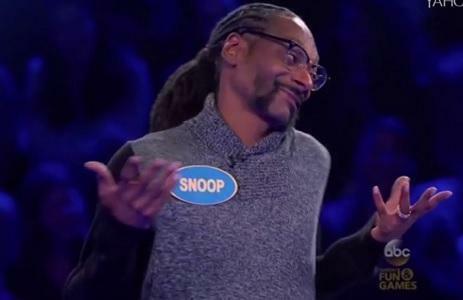 Snoop Dogg squared off against Sugar Ray Leonard on Celebrity Family Feud, and the very first question was right up Snoop’s alley. Even though Sugar Ray was known for his speed, Snoop was able to hit the buzzer first. Snoop said that Grandma would hit Grandpa, but Sugar Ray’s answer was higher up on the board so his family got to play first. Unfortunately for Ray, his family wasn’t able to knock out the rest of the answers, so Snoop got a chance to redeem himself.